Home / Language / Should You say ‘A Historic’ or ‘An Historic’? Should You say ‘A Historic’ or ‘An Historic’? For a Filipino, this really should not even be a relevant question; and especially so before the age of cable television. But then cable television did come along, and with it beamed live into our living rooms international news networks like CNN and the BBC. Of course, what was more confusing was that these were native English speakers using what to us was so obviously a grammatical anomaly. Indeed, the rules of grammar that we were taught in school said that the indefinite article ‘an’ should be used to precede nouns that are pronounced beginning with vowel sounds. Confusing? The word ‘hour’ begins with the consonant ‘h,’ but is generally pronounced as ‘our.’ Hence, we say ‘an hour.’ Similarly, we say ‘an heir’ or ‘an honour’ because the ‘h’ in both words is likewise omitted in pronunciation. Things get more complicated with words like ‘hotel’ and ‘horrific’ because leaving the ‘h’ sound out of pronunciation is largely a preference issue. The use of the indefinite articles ‘a’ and ‘an,’ therefore, is dependent on the speaker’s preference. 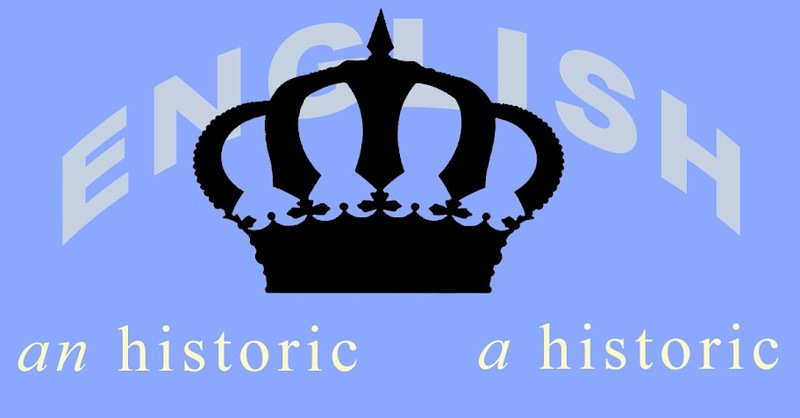 The word ‘historic’ draws special attention because the article ‘an’ is used by many native English speakers whether the ‘h’ is omitted in pronunciation or not. This is in complete defiance of the rules of grammar. Those who did not snore through World History will recall the Franco-Norman era in England during which the fledgling English language evolving as it was from the Anglo-Saxon dialects was being enriched by French words. Note that the rules of grammar governing the use of ‘a’ and ‘an’ apply to both British and American English. In that case, ‘an historic’ is technically wrong even when used by somebody British. Preference for its use is not a British thing either; and Americans continue to exercise preference for it as well. However, as the Google matrices show below, there has been an increasing preference for the use of ‘a historic’ as opposed to ‘an historic’ over the recent decades. Thus, the rules of grammar may prevail, after all.